It was obvious to everyone who had a go at answering that it was the skull of a marine turtle of some sort, but that’s where it got a bit more tricky. There are only seven species of marine turtle, but their skulls all look quite similar to the untrained eye – mine included. However, when I found this specimen I decided to improve my skills and I searched for a decent identification guide for turtle skulls, which I was fortunate to find hosted by Florida Atlantic University. 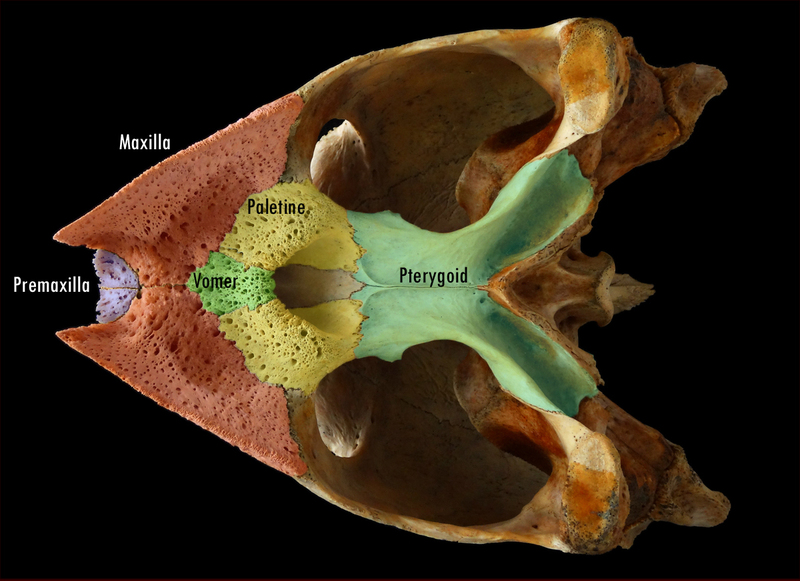 As some of you may have noticed, the maxilla (tinted red) on either side of the palate meet in the middle, which is a characteristic only seen the Loggerhead Caretta caretta Rafinesque, 1814. The other turtles have the maxilla separated by the vomer (tinted green). Well done to mark b, cromercrox and donald who managed to get the right turtle species! 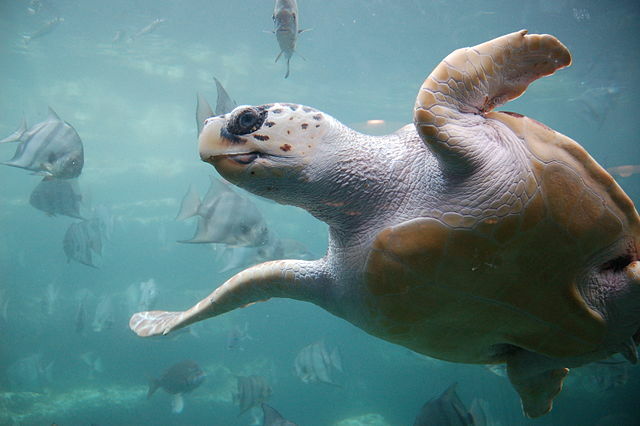 These large marine turtles will eat pretty much anything they can find, from jellyfish to crabs and sponges. Unfortunately that includes things like plastic, which causes all sort of problems for their digestive system. Just one problem that they face, on top of getting tangled up in fishing tackle and poor survival of their young due to predation from pretty much everything (from foxes to crabs and gulls to sharks). Sadly, it’s not much fun being a turtle.